Dave Pearce Is Back... With Dance Anthems! Legendary pop-star Kim Wilde plays her favourite 80s songs. Now airing in markets around the world, The Kim Wilde 80s Show is a real ratings winner. 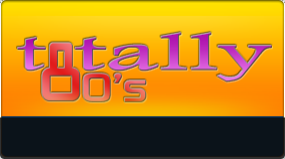 Totally 80s With Gary King is a multi-award winning weekly 2-hour show. Featuring updates on your favourite 80s artists, star interviews and the biggest hits of the decade - this is the show that weekends were made for! Blue Revolution is a multi award-winning radio production & content syndication company. We provide world-class syndicated radio programmes and a wide range of Weekly Programming & Production Tools for radio stations.